Telnexus is delighted to join up with Peter Kranz, the CEO of UnwiredLTD, who recently put together an Internet Privacy Pledge in reaction to all the Internet shenanigans going on in Congress lately. Here is our pledge, slightly modified by Telnexus to make sure you telephone calls are keep private too! 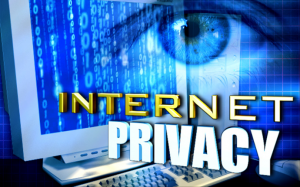 As you may have read in recent news, Congress has voted to repeal broadband privacy rules, paving the way for internet service providers to collect personal information about their users and monetize this information as they see fit. This enables your ISP to closely monitor all of your online activity, create personal profiles of your behavior and disclose this information to the highest bidder, all without your consent. Some ISPs may argue, “Many social media sites do this, why can’t we?” Our response is, “You can always choose not to use a particular website, but your ISP has become an essential utility, acting as the primary gateway between your home or business and the outside world. If your ISP is monitoring you, this means that any usage of the internet is potentially compromising your privacy.” We don’t believe this is right, which is why we have decided to voluntarily commit to customer privacy rules on our own, which we are calling ‘The ISP Privacy Pledge’. We hope other ISPs will join in taking the pledge. We take the privacy of our customers seriously and pledge not to share our customer’s data with 3rd parties unless required by law. While we cannot make this a legally binding pledge, we WILL endeavor to abide by it to every extent possible.